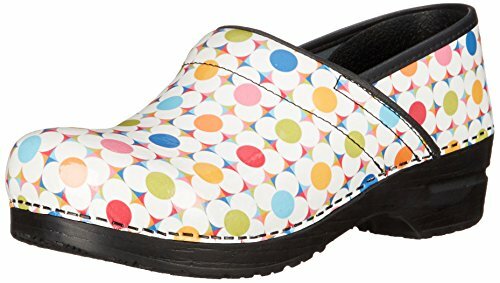 12 Colorful Fun Comfy Cute Clogs for Women! Cute and Girly Clogs for Women who have to work on their feet! Are you a nurse, dentist or a doctor? Do you have to spend 12 hours or more on your feet at work? Or maybe you are really looking for a comfy, cute and girly pair of shoes? Then why not wear cute clogs? I used to wear many clogs back in the 70’s and 80’s! But they didn’t have many color or design options and they were mostly made from wood. Nowadays they are cute, colorful, fun and girly! They are also way more comfortable to wear with rubber soles and also cork! Clogs are the most worn shoes by nurses! I also love the fact that they are raised, so they will make you a little taller without heels! I decided to create this page showing you my top favorite cute and girly clogs for women in all fun colors and awesome designs! 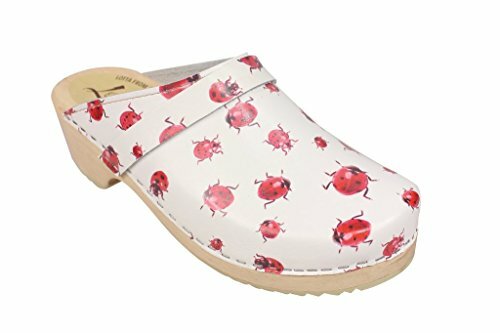 Cutest Ladybugs Clogs for Women! It’s a girly pair of adorable ladybugs clogs! I love the white background, as it makes the cute ladybugs stand out! 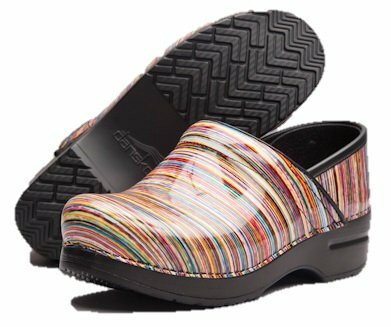 Perfect clogs for a nurse to wear! They are super comfortable and of course, FUN! 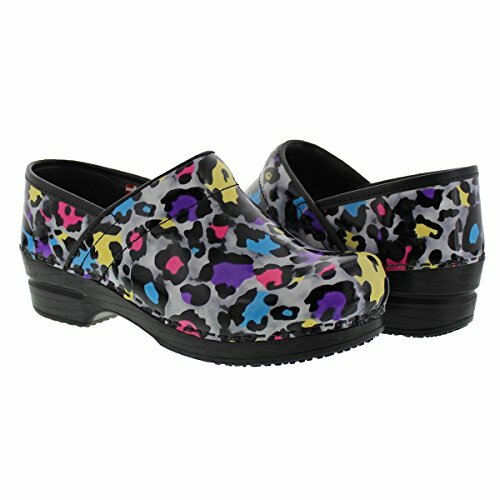 Another fun and very colorful pair of clogs for nurses! These are very pretty, stylish and sturdy! Clogs are also helpful if you have knee or back pain from having to walk and stand all day (or night) long! Cute Sanita Clogs for Women! 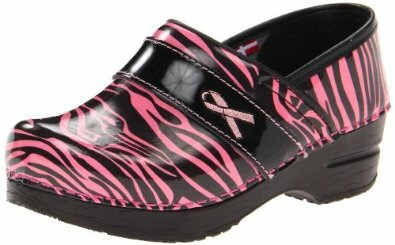 Pink Zebra Clogs Check these out ladies! Cute, fun and girly pink zebra clogs! How cool and charming are they? They even come with the pink ribbon symbol of breast cancer awareness! All the girly ladies and nurses love them! 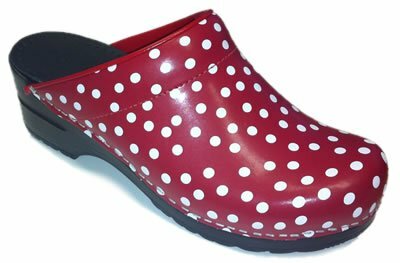 Adorable Red and White Polka Dots Clogs for Women! Do you love polka-dotted stuff? Then these cute and fun red and white polka dots clogs are perfect! 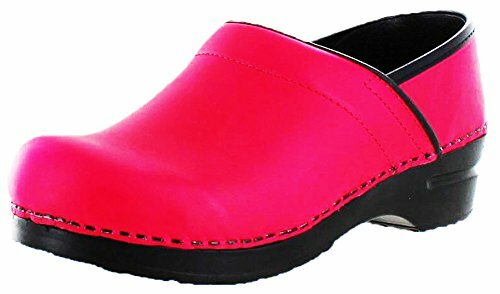 Professional Colorful Clogs for Women! If you are looking for the best clogs with the brightest colors, I believe you are going to love these! Can’t get any more colorful than this! Everyone will go ‘Wow! when they see your clogs! How about some Animal Print Girly Clogs? Animal Print Girly Clogs We can’t talk about cute and girly clogs without including a fun pair of animal print clogs in the mix! 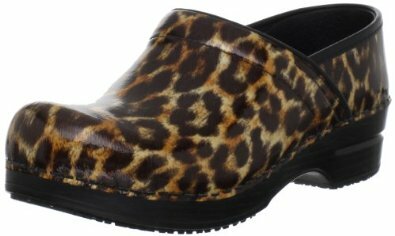 What a cute pair of leopard clogs for women! How about that ladies? I bet by now all the other ladies at work always look at your feet first when they see you, just to see what cute clogs you are wearing today! Am I right? 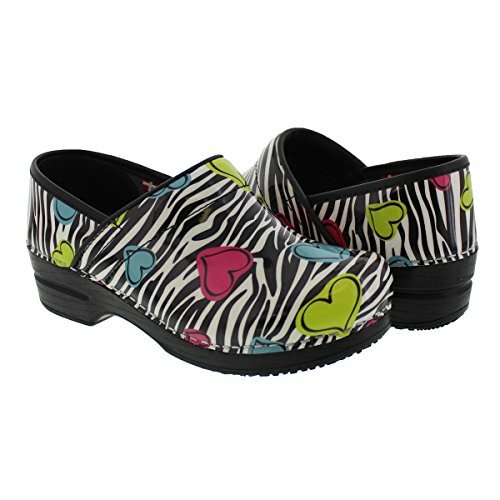 Beautiful and FUN Neon Hearts Print and Zebra Clogs! My Favorite Creative Girly Clogs for Women! What a gorgeous and very creative (not to mention FUN!) pair of colorful neon hearts and zebra clogs for women! They also have awesome arch support and they are extremely comfortable! Will go beautifully with your blue or pink scrubs! I bet everyone will stop to admire your cute clogs at work! 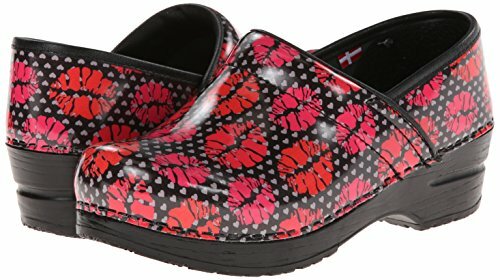 Fun Kiss Print Clogs for Women! One more pair of fun and colorful cute clogs for women! It’s a girly pair of ‘kiss print’ clogs! Colors make me happy! They always put a smile on my face! That’s why I think colorful ‘happy’ clogs are the best shoes for a nurse! Besides being very comfortable they make people smile! 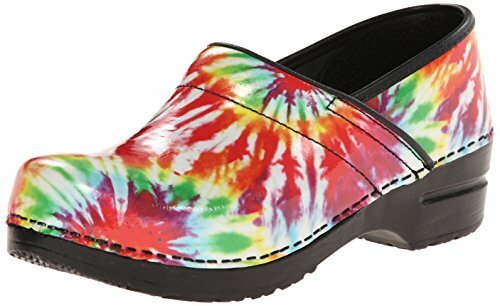 The Most Colorful Clogs for Women! And finally I found the happiest clogs on Earth! 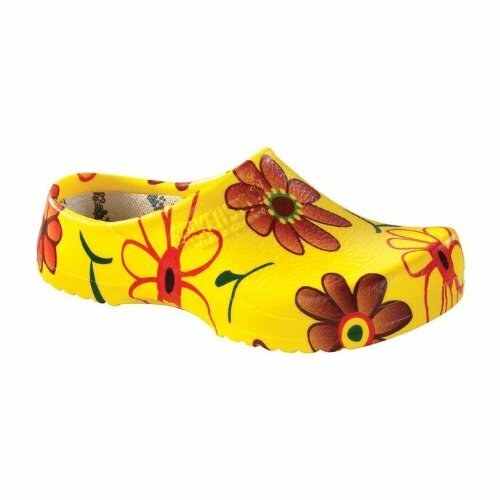 Bright yellow flower clogs to wear anywhere and everywhere! They are also available in many other fun colors, including blue flower and other cute and happy designs! Here are more cute, fun and ‘happy’ shoes to wear this summer! Best Spring Sandals for Women!